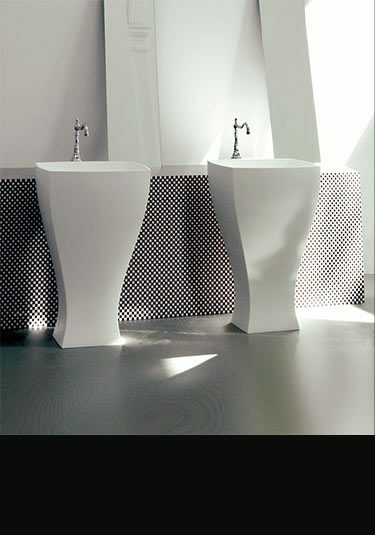 Stunning collection of freestanding basins in the latest European designs. 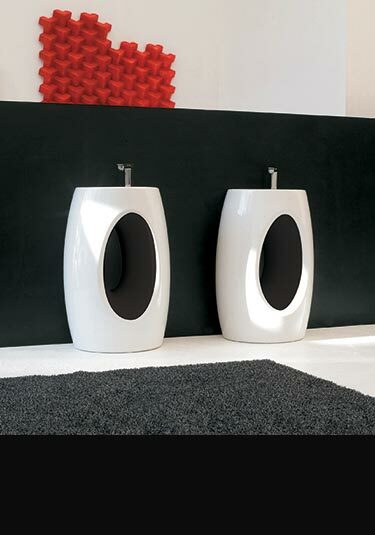 The floor standing basin is the latest concept in contemporary bathroom design. Our exclusive range of freestanding sinks will add luxury quality and top design to high end bathrooms. The floor mounted basin is a visual centre piece to a bathroom and is a lovely design choice in exclusive bathrooms. European designed and manufactured. 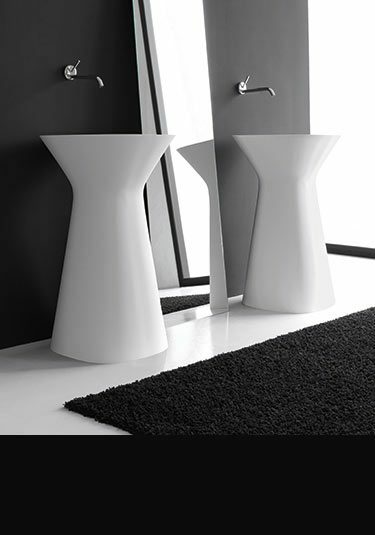 A designer floor mounted washbasin in a gloss black and white. This freestanding basin is made in ceramic china and is part of a larger coloured collection. 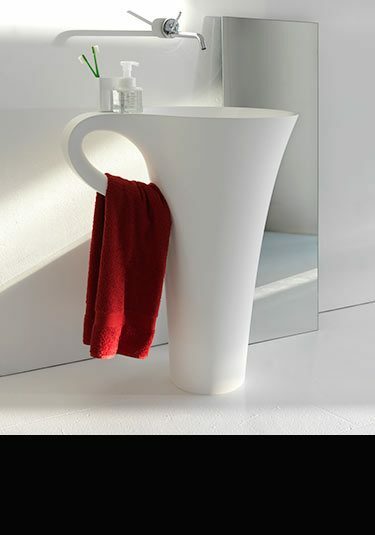 Superb tea cup design this floor mounted wash basin is highly individual and never to be forgotten. Designed and made in Europe. 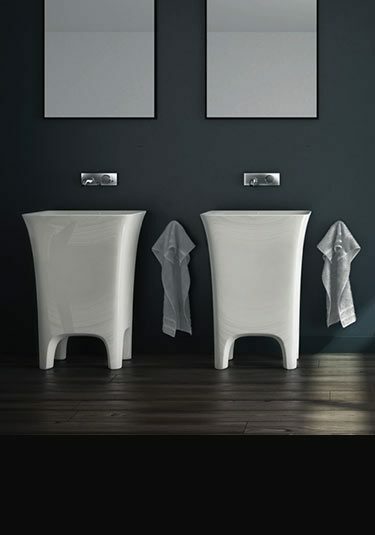 This luxury quality freestanding basin is an exclusive design from Europe. Made in ceramic this floor sink is available in white and black and white. 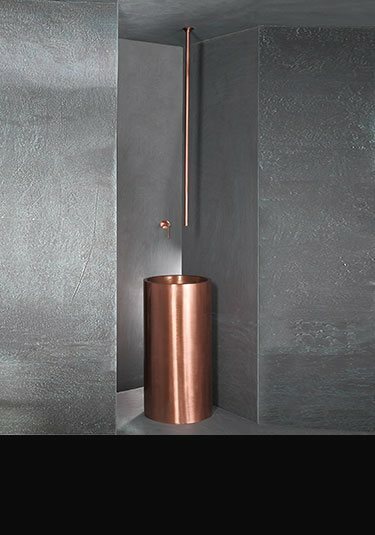 This freestanding basin makes a never to be forgotten style feature within any luxury bathroom design. Finished in an antique brushed brass finish, this floor mounted sink can be supplied with matching brassware and is also available in copper and brushed nickel. 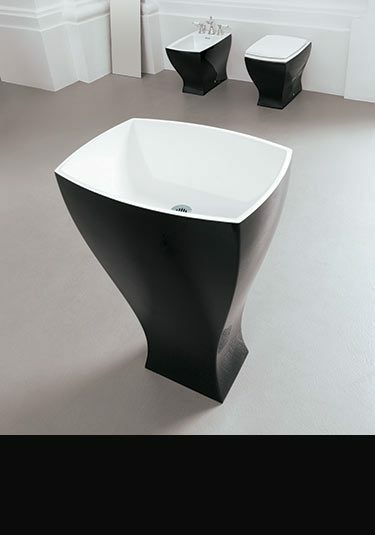 A tapered rectangular basin that is floor standing. Finished in black with a white inside this ceramic freestanding basin is ideal for luxury designer bathrooms. Italian designed and made, this luxury freestanding sink is a stylish design feature to any designer bathroom. This floor standing sink is nearly a sculptured piece of art. Made in ceramic china and designed in Europe this is superb contemporary choice for luxury bathrooms.